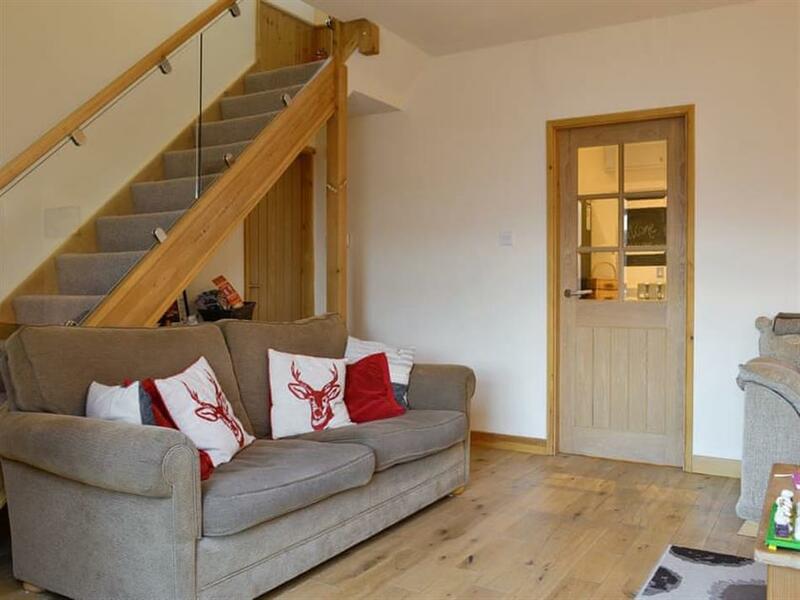 Surf View Cottage in Dolgarrog, near Conwy, Conwy sleeps 6 people. Surf View Cottage near Conwy is in a great location just a few minutes’ walk from Surf Snowdonia; Surf View Cottage is a lovely, semi-detached cottage. 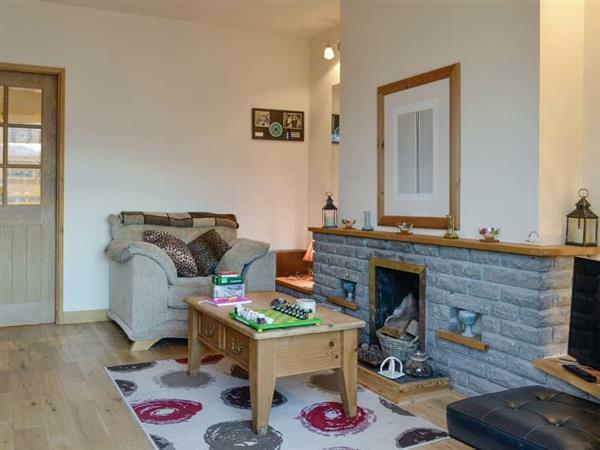 The well-equipped kitchen leads onto a comfortable living room which in turn opens onto an airy dining conservatory with views over the village to the Conwy Valley beyond. There’s a stylish downstairs wet room whilst the three bedrooms are upstairs, one with an en-suite toilet. Just down the road is Surf Snowdonia, the UK’s first inland surfing lagoon, where you can catch a wave, coffee or lunch. The village of Dolgarrog is situated on the quieter western side of the Conwy Valley. From here it is a short drive to the historic town of Conwy with its majestic Edward I castle and almost complete town walls (it’s a UNESCO World Heritage Site too). Here you can explore the lovely houses of Plas Mawr (Cadw) and Aberconwy House (National Trust). Or lose yourself in the many individual shops and cafés, and take a trip on a pleasure boat out into the Conwy estuary. At the famous National Trust garden at Bodnant you’ll find wonderful displays of floral abundance all year round (the laburnum arch is a special feature every May), and delicious cream teas in the tea room. The Victorian seaside resort of Llandudno is also well worth a visit, with the Great Orme, cable car rides, fabulous sea views and a theatre with a busy all year round programme. To the south, beyond the market town of Llanrwst, is picturesque Betws-y-Coed, the Gateway to Snowdonia. Here you will find a variety of climbing shops, leafy walks in the Gwydyr Forest Park, historic churches and tumbling waterfalls. Adrenaline junkies too will love Betws, with Zip World Fforest, the exciting Fforest Coaster and loads more adrenaline activities for all the family. A picturesque drive brings you through the mountains to Llanberis at the foot of Snowdon, or to the peaceful Isle of Anglesey with 125 miles of glorious coastline just waiting to be discovered! The beach is 8¼ miles from Surf View Cottage near Conwy. With the shop 300 yards, and the pub & restaurant are 1 mile from Surf View Cottage. Living/dining room/conservatory: With 32’’ Smart TV and wooden floor. Kitchen: With electric oven, electric hob, microwave, fridge/freezer, dishwasher, washing machine and wooden floor. Calor gas central heating, electricity, bed linen, towels and Wi-Fi included. Travel cot, highchair and stairgate available on request. Enclosed lawned garden with sitting-out area, garden furniture and barbeque. Bike store. Private parking for 2 cars; additional on road parking. No smoking. Holidays at Surf View Cottage run from Monday to Monday. Pets allowed at Surf View Cottage. For a better idea of where Surf View Cottage is, you can see Surf View Cottage on the map below. Surf View Cottage is in Gwynedd; should you be on the lookout for a special offer, you can find all the special offers in Gwynedd. It's always worth checking to see what is on offer at the moment. Do you want to holiday near Surf View Cottage (UK10395), you can see other cottages within 25 miles of Surf View Cottage; have a look to find your perfect holiday location.